Robert Sietsema takes a deep dive into the annals of chronic cookery, from 10th-century bhang to the rise of the pot brownie. 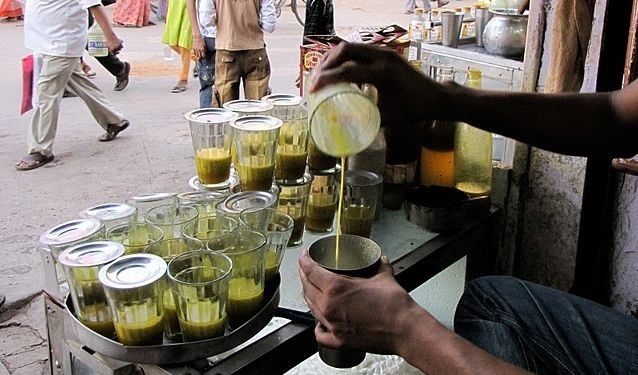 How was bhang made? The buds and leaves were ground with a mortar and pestle to a green paste, and then milk, ghee (clarified butter), and spices were mixed in. 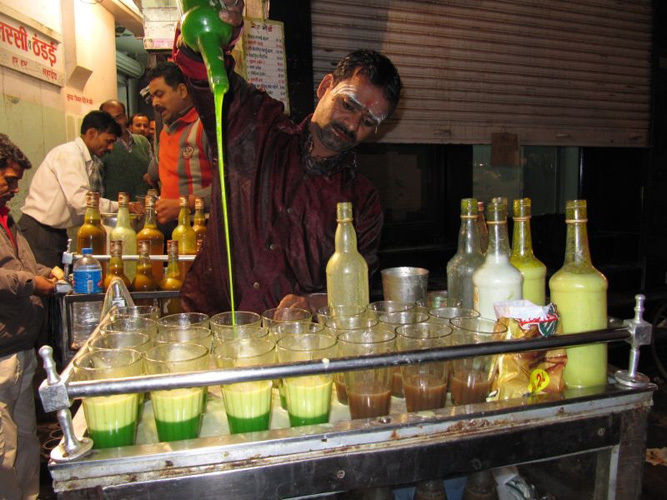 Other recipes, of which there are many, specify boiling the leaves first, but the method was similar—leaves and buds were pulverized and mixed with small amounts of sugar and water to make balls called bhang goli. Wikipedia sagely notes, “These [were] not considered a drug, but a traditional sleeping aid and appetizer.” Appetize away, 16th-century Indians! Even in the 15th century, Bartolomeo Platina was already talking like a stoner! And if you look at the picture of him standing next to the Pope during his appointment to the Vatican, the eyes of both men look a little glazed. 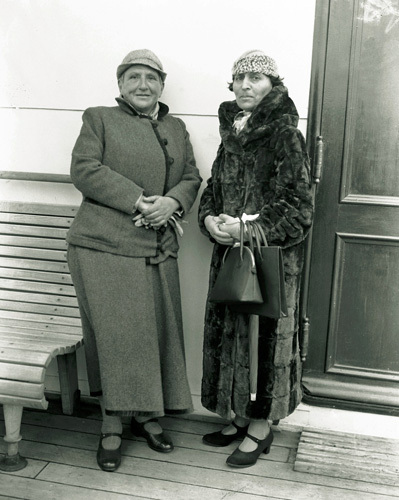 Presumably, Toklas treated some of her friends to her famous “hash brownies,” the recipe for which was finally provided in her 1954 volume, The Alice B. Toklas Cookbook. The problem is—and this will not be seen as a problem by the true stoner—the recipe, titled “Haschich Fudge,” contains no hash, nor does it contain any chocolate. The recipe was apparently not invented by Toklas herself, but given to her by painter, performance artist, and close friend of William S. Burroughs, Brion Gysin. 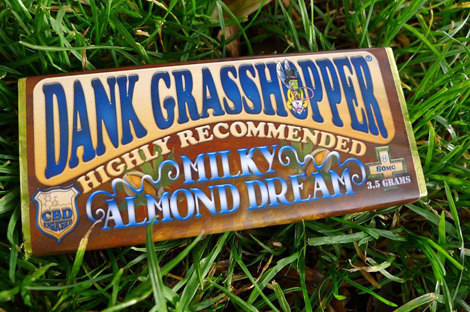 Yes, marijuana can be eaten raw, and this recipe is certainly of historic importance. 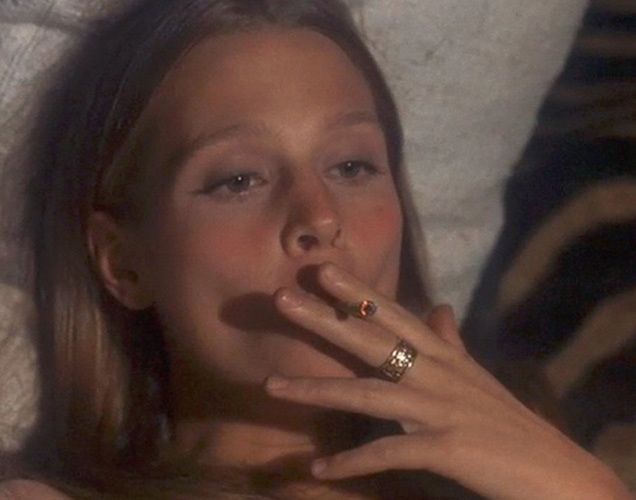 However, eating uncooked weed can lead to something besides a somewhat-delayed highness—constipation. 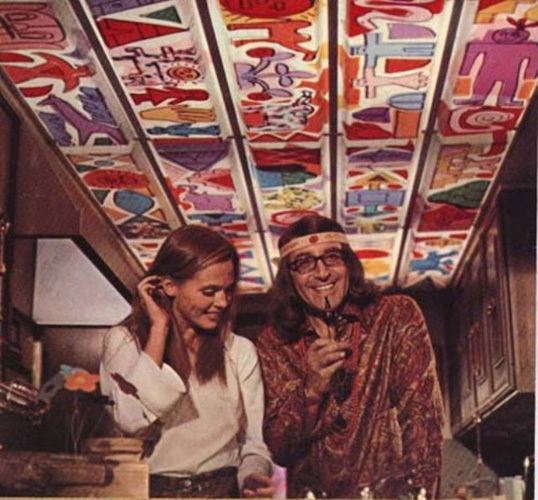 The hippies had a field day with Toklas’ recipe, which was memorialized in the Peter Sellers movie, I Love You Alice B. Toklas. 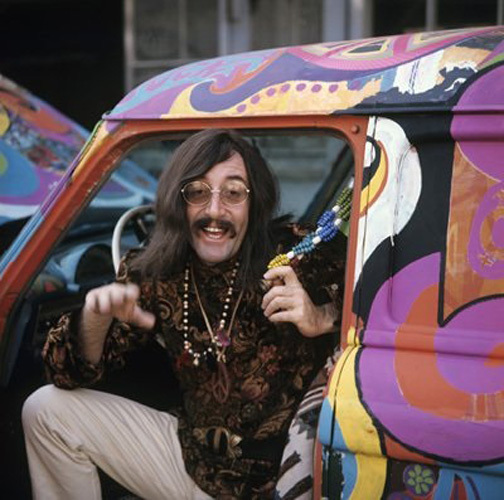 In the film, a lawyer played by Sellers eats some hash brownies and runs out on his own wedding in Venice Beach to live with a hippie chick rather than his bride. 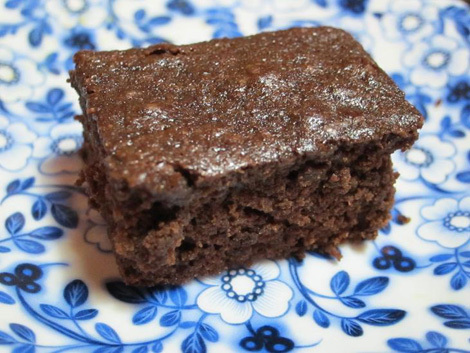 These were real brownies, however, which explains why the brownie became immortalized as the baked good to put cannabis in—and how it became forever erroneously associated with Toklas. I’ve done my own experimenting with pot brownies. Though I have friends who swear by butter, I prefer peanut oil due to its high smoke point. To reduce costs, I use leaves stripped from the outside of the plant that have already been used to produce bubble hash. 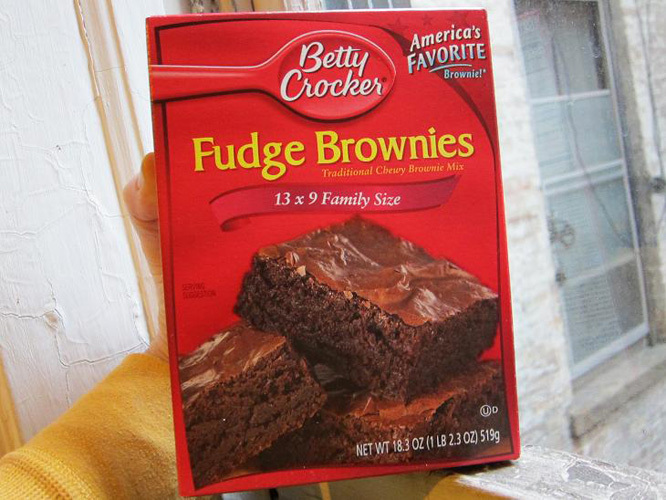 Once the THC and other fat-soluble ingredients have been rendered into the oil, I incorporate it into a boxed brownie mix, usual Betty Crocker. Nobody wants to bother with expensive gourmet brownies where your objective is getting high. But marijuana can be incorporated in cooked form in a broad range of pastries. Visit any medical cannabis dispensary in the Bay Area, and you’ll encounter cookies, blondies, lollipops, fig bars, lozenges, and cakes (including zucchini cake, which presumably gives you a healthier buzz). In my experience, you don’t even need a prescription in most of these places—just sashay in and buy. 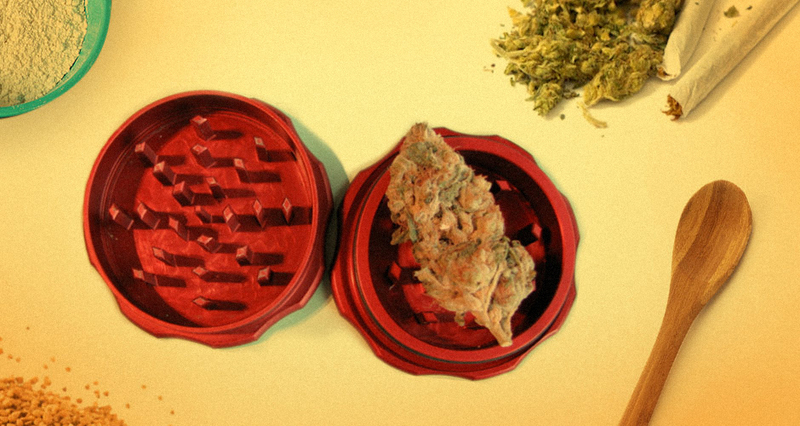 There are even websites devoted exclusively to marijuana cookery, adding a fascinating mixture of lore and sometimes medical advice to the recipes. Two such sites are the Cannabis Chef and Good and Baked. On the other hand, you don’t really need any special recipes. Once you’ve extracted the active ingredients into oil, you can use it in just about any recipe. You can also simply put raw pot into any baked or sautéed recipe, though you may find the gritty nature of the weed interferes with your enjoyment of, say, a cheese soufflé. The future of cannabis cookery may not lie in sweet recipes, but in savory ones. Just last year, the staff of the wildly popular Bushwick pizzeria Roberta’s staged a hush-hush marijuana feast that was reported in GQ magazine. The gala meal included marijuana-based cocktails (one was called The Painkiller), a salad of greens grown on the restaurant’s roof with pumpernickel-weed croutons, and local Long Island bluefish seasoned with marijuana oil in a weed-yogurt sauce. Just before serving, the fish was wrapped in plastic and steeped in Sour Diesel fumes. Next came two types of pizza made with hempseed dough. One featured buffalo mozzarella and tomato sauce seasoned with herbs (wink wink), while the other deployed pot pesto, prosciutto cotta, and homemade mozzarella and ricotta. Naturally, the savory courses were followed by too many desserts to enumerate, satisfying the condition known as “the munchies” while also provoking more munchies. Highlights included hempseed crumble, strawberry-rhubarb gelato with weed cream, and a vanilla tuile containing weed butter. The meal poses the question, how high can you get? 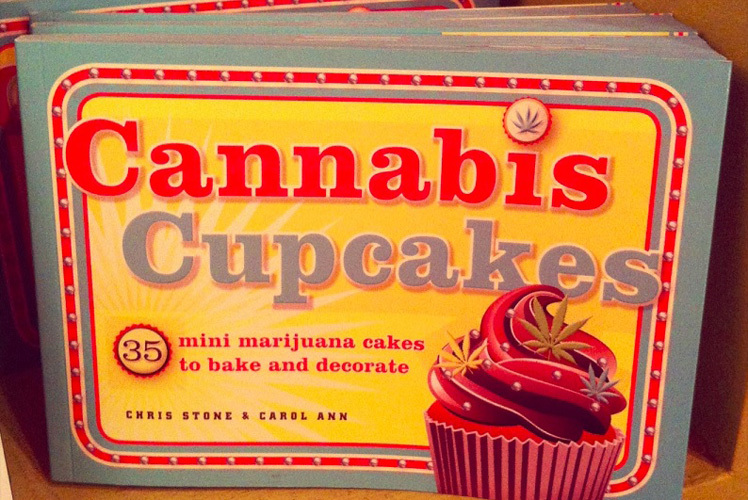 For the uninspired, there are several new cookbooks that offer mary jane recipes exclusively, the most absurd of which is Cannabis Cupcakes by Chris Stone (wink wink, again) and Carol Ann. The volume provides 35 recipes for cupcakes, all of which include a convenient dosing method—but really, who can stand cupcakes anymore? We’ve been totally cupcaked out. 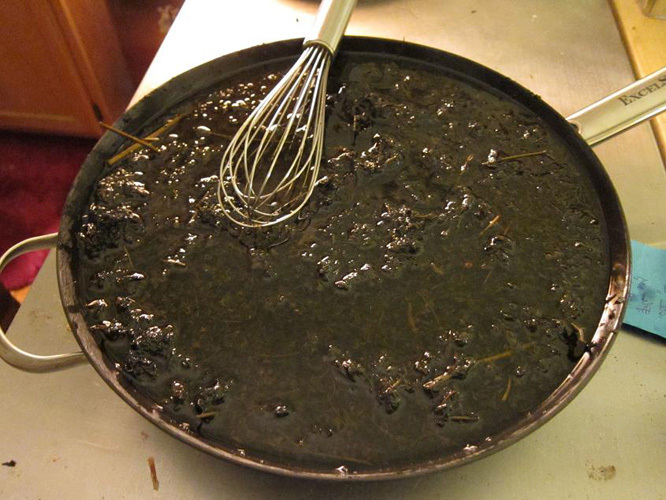 It simply proves that, any way you eat it—raw, rendered into oil, or simply cooked—weed works. 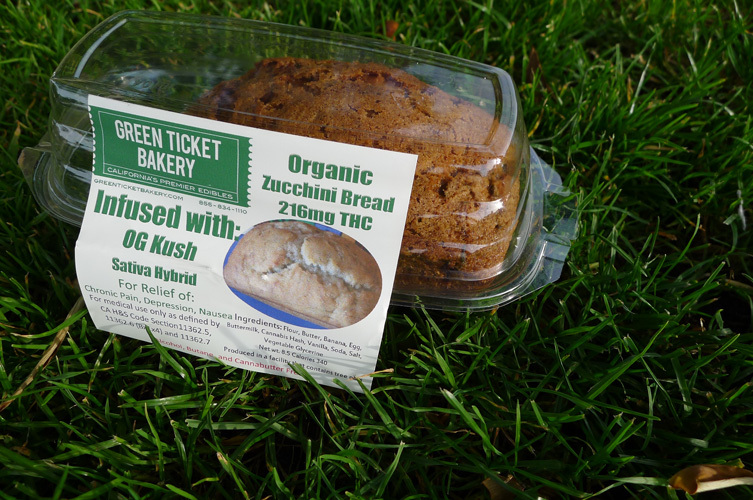 Click through the gallery to trace the history of pot edibles, and check out some of the varieties available today. 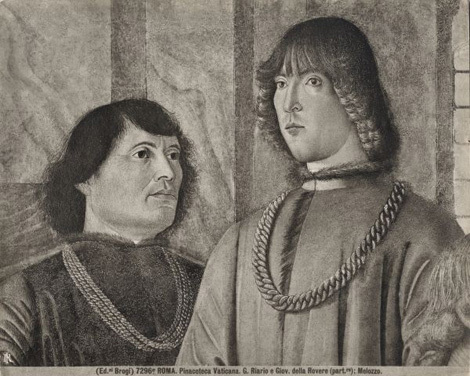 Fifteenth-century Italian scholar Bartolomeo Platina produced a cookbook called On Honorable Pleasure and Health (1474) featuring a ganja recipe. 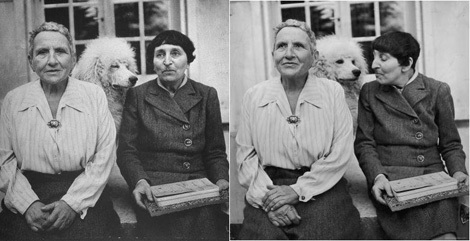 Gertrude Stein (left) and Alice B. Toklas, who included a no-cook cannabis recipe in her 1954 volume, The Alice B. Toklas Cookbook. Toklas is a pivotal figure in the history of marijuana cookery.